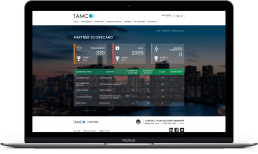 Deliver an exceptional experience with technology built for today’s most important channel relationship. Partners have more options and higher expectations than ever before when it comes to doing business. Capture and keep more partner mindshare with Zift’s industry-leading PRM software. 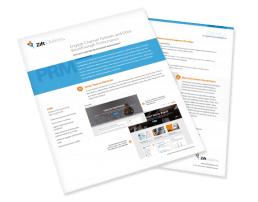 Integrated with our CMM software or on its own, Zift PRM has best practices and processes built in to help you deliver breakthrough channel partner performance. Don’t just recruit partners. Recruit the right partners. 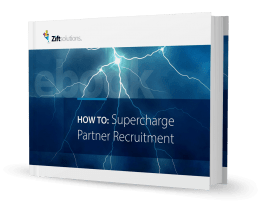 Zift PRM provides a streamlined, end-to-end recruitment and onboarding process so you get partners up, running, and generating demand, fast. Enable collaboration across your partner ecosystem, automate resource-draining tasks, deliver dynamic visibility and eliminate complexities standing in your way of building the bottom line. 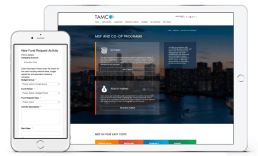 Zift PRM is designed with the partner in mind - with easy to use features and an overall engaging platform that gives your partners what they want and need to keep them coming back for more. Explore our feature highlights to learn more! Partners can be grouped into user groups by attributes found in profile data. Vary content and assets displayed by individual groups for maximum targeting. Partner profile, program and activity history information are saved to form a database to further manage partners. 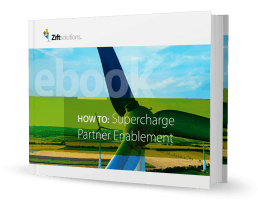 Provide a tool for measuring, monitoring and influencing partner behavior. Any partner activity can be scored by your own set of rules. These can be displayed as badges or reports. Partners can register to use the portal with a registration and approval workflow. Define roles and visibility options for users. Roles are applied dynamically; user visibility changes with role changes. Add lists of prospective partners in and segment and market to them. Send invitations to join the program, capture applications without a registration form, and guide prospects through the recruitment process. 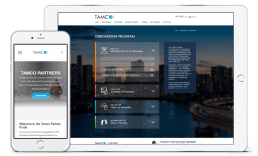 Manage approvals and account assignments, ensure contract compliance, and get started getting new users up to speed, tracking their activity at every step. Self-service setup for online and live training, with courseware scoring and reporting capabilities. Training can also include certification. Manage and support multiple certification programs, with automated rules for pass criteria, validity and re-certification. Partners can be notified of program or business process changes based on triggers or as bulk mailings to selected partners. The portal can be integrated with popular social networking sites. Synchronize profile data and send updates to Facebook, LinkedIn and Twitter. Discussion forums are also offered to easily communicate with partners. Configurable business plan forms and flexible routing and approval can help manage planning processes. Plans can be time-based and include updated from both partners and account managers. Lead Registration programs for registering and nurturing sales leads are available instead of formal opportunities. Leads can be worked to close in Zift or synced to a CRM for nurturing. Leads are captured and stored for review by partners and account managers. A Lead Registration program for registering and nurturing leads can also be put in place. It can be progressed to close within Zift CHaaS or synced to a CRM. Lead and opportunity pipelines can be viewed, monitored and reported on within the portal. Products and Pricebooks allow partners to enter accurate pricing information into lead and opportunity registrations. Ideal for subscription-based products. Zift automatically initiates renewal cycles with partners after a renewal date is entered. Through configurable workflows, opportunities are created and distributed to selling partners for follow-up. Partners and account managers can forecast opportunities, building and managing pipelines for reporting purposes.